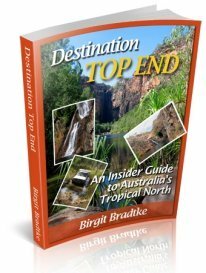 TNT magazine just had an article about a couple of backpackers who did the Gibb River Road in a VW Combi. 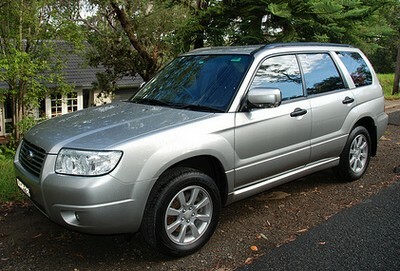 I'm planning to do it this July (I'll have 3 weeks), and my car is a Subaru Forester. Do I really need to trade it in for a "real" 4wd? PS You're site and e-book is fantastic! Do I really need a 4WD for the Gibb River Road? 4wd snorkel needed for Gibb River Road? Thanks for the compliments. Much appreciated :-). Well, it depends what you want to see. The Gibb River Road itself will not be a problem at all in July. July is certainly your best bet if you want to go in a car like your Subaru. But some places will likely be out of your reach. Where exactly the limit is can never be predicted exactly. The creek crossings look different every year. The state of the tracks can also vary wildy. It is not the 4WD you need (unless it is very sandy). It is usually enough space underneath your car! And a really tough vehicle that doesn't rattle apart on you. 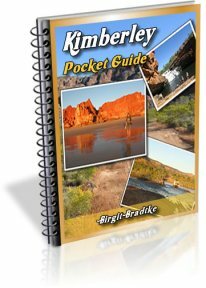 When you get here, just get in touch with people at the places you want to see (rangers, the nearest roadhouse etc., all the contact details are in the appendix of Destination Kimberley) and ask them about the current conditions. They'll be able to tell you. It also always depends on the driver. 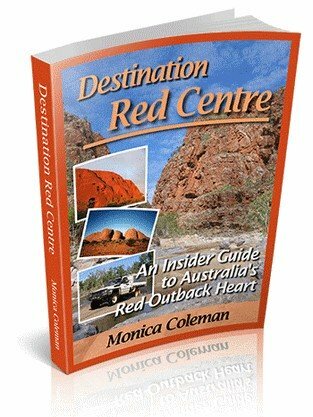 The recommendations I give in the book will see even totally inexperienced overseas visitors through. But anybody who for example has grown up in Oz and driven old paddock bombs through the bush all their life, can go nearly anywhere in a 2WD. The Subaru wouldn't be my vehicle of choice in this area, because sooner or later I would come up against a situation where I'd have to say, nope, I'd rather not risk it in this car. And I hate that. But if that's the car I had, I'd just give it a go and see how far I get. You should be able to see most things. trailer-van. We are thinking of using the Subaru to tow a light trailer-van, within the Subaru towing capacity. Is the Gibb River Rd, and similar roads in the Top End, do-able with this rig? Would you recommend a heavy-duty trailer? We also thought about taking a tent as well, maybe leaving the van somewhere at times in order to explore rougher roads with Subaru and tent. We're relatively new to this caper, though we have used the Subaru and tent to access quiet fishing spots in Victoria. With rapidly rising fuel prices and emissions considerations, the lighter Subaru seems a good option. But I guess this restricts you in terms on where you can go. How much are you restricted? The more we hear about that country up there, the more we're itching to get at it! What exactly is a trailer-van? The word light is a red flag for me. I wouldn't recommend to take a light van on the Gibb River Road. It'll just fall apart on you. Even dedicated off-road vans, even the camper trailers can have trouble with our roads. The suspension is a weak point on many of them, but there are lots of other things that just rattle apart as well, depending on the workmanship. You need something heavy duty that can take a beating. Without the van I don't think you would be all that restricted, at least not later in the year. But it always depends on the time of the year, on what you want to do and on the driver. I just returned from a couple of weeks in the NT, and also called into Kakadu while there. The track to Jim Jim Falls for example is borderline, and the manager of the campground told me that people get stuck there 3 or 4 times a week in their little X-Trails and Rav4s and similar vehicles (sandy stretches with deep ruts). And that's only the ones he hears about, the tip of the iceberg :-). Most of them would just get pulled out by the next car. But many also get through just fine. On the other hand I saw an X-Trail go through a 700mm deep crossing in Litchfield on the southern access track. Madness without a snorkle, total madness. I'd say they had no idea what they were doing. But they made it. Anyway, if you have that choice, a tough offroad camper trailer is less limiting than any kind of van. We took our Forester to the centre last June/July with no problems. 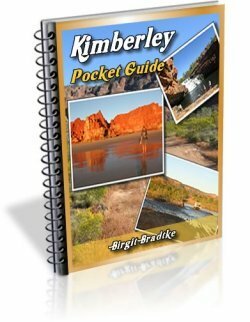 We visited a lot of places including Chambers Pillar and Palm Valley, via the Oodnadatta Track and the Mereenie Loop. I fitted a few plates to the vulnerable areas under the car, such as the leading edge of the fuel tank etc before we left. I also agree that towing anything on roads such as these can leave yourself open to problems. We have heard of many breakdowns with camper trailers being taken on roads such as these. You said you had fitted plates under the Forester and I think it is vital since the flimsy plastic sump guard !!! is a no-no. I researched a company SubaruXtreme who do accessories for the Subaru range but their sump guard is cast aluminium and expensive. Do you have any details on your mods please particularly for the tank protection, something I overlooked. Hope to do the GRR next year early, perhaps may have to wait in Broome until it opens. Thanks to Birgit for putting this all together, what a great public service. PS Can provide contact details if you wish. Back in 1961 I did this trip in a FJ Holden and a Bondwood caravan. It was a frontier then. The old Holden did the job well as well as the old caravan. Back then we did not have Engel fridges and camper trailers. We shot our food and lived a lot of the land. It was an adventure that has stayed with me all these years. I hope that anyone who travels this great location takes a little time to look beyond the roads and takes the time to explore some of these places on foot. I would love to go back and do it all again but unfortunately age has got the better of me now.We spent 9 months traveling this area and my wife and I got to see some amazing things and meet some very special people.So no matter what car you have whether you sleep in a van or in a tent try your hardest and enjoy every minute. I hope to everyone of you who do this trip that your memories last you a lifetime has they have done for me.I want to thank my granddaughter who is 9 for helping me write this.